Gratis Belajar Bahasa Inggris - Kali ini admin share kembali salah satu tipe genre yaitu Hortatory Exposition Bahasa Inggris Beserta Generic Structure. Apa itu Hortatory Exposition Text? Hortatory mempunyai makna mendorong atau memaksa seseorang untuk melakukan sesuatu. Sedangkan Exposition bermakna penjelasan atau penjabaran dari sebuah teori yang dilakukan secara komprehensif. Pengertian Hortatory Exposition adalah sebuah penjelasan teks teori yang isinya bertujuan untuk mempengaruhi pembaca untuk mengikuti gagasan yang ditulis oleh penulis. Hortatory exposition is a type of spoken or written text that is intended to explain the listeners or readers that something should or should not happen or be done. (Hortatory Exposition adalah jenis teks lisan atau tulisan yang dimaksudkan untuk menjelaskan pendengar atau pembaca bahwa sesuatu seharusnya atau tidak boleh terjadi atau dilakukan). Hortatory exposition text can be found in scientific books, journals, magazines, newspaper articles, academic speech or lectures, research report etc. (Teks Hortatory Exposition dapat ditemukan di buku ilmiah, jurnal, majalah, artikel surat kabar, pidato akademis atau ceramah, laporan penelitian, dll). Hortatory expositions are popular among science, academic community and educated people. (Hortatory expositions sangat populer di kalangan sains, akademisi, dan orang berpendidikan). To strengthen the explanation, the speaker or writer needs some arguments as the fundamental reasons of the given idea. In other words, this kind of text can be called as argumentation. (Untuk memperkuat penjelasan tersebut, pembicara atau penulis membutuhkan beberapa argumen sebagai alasan mendasar dari gagasan yang diberikan. Dengan kata lain, teks semacam ini bisa disebut sebagai argumentasi). To persuade the readers that something should or should not be the case or be done. (Untuk meyakinkan pembaca bahwa sesuatu seharusnya atau tidak seharusnya terjadi atau harus dilakukan). Disebut juga general statement yang berisi pernyataan pembuka tentang topik bahasan. 2. Arguments : Reasons for concern that will lead to recommendation. Pada paragraf ini berisi tentang pembahasan lanjutan dari thesis statement diatas secara detail. Pembahasan dalam argument ini tidak hanya berisi pendapat pribadi penulis saja tapi juga bisa berisi pendapat para pakar. Pada paragraf ini berisi saran penulis tentang topik pembahasan. "Bullying: A Cancer That Must Be Eradicated"
A tragic end to an education that had barely begun 13-year-old Kiki stopped schooling because her classmates used to make fun of her relentlessly. They had accidentally discovered her humble background, her father being a street vendor. In another case, 15 year old Dinda could not take it anymore. She became depressed, left school and stayed at home because she was constantly teased by her classmates for failing in junior high school. These are few cases out of hundreds of similar cases and the number is increasing over the time. In Indonesia bullying exists in every form, from teasing to extreme abuse. Even though incidents of bullying are common, unfortunately it is not seen as a major problem. A recent survey conducted by National Child Protection Commission has shown that more than half of bullying incidents go unreported due to the fact that it is considered normal in some parts of the society. Also the people who get bullied are either unwilling to report it because they feel it will “make a big deal”. Or worse, they are so scared that they don't trust anyone and do not want to share their plight with anyone. The issue of bullying has been a problem for years but recently it got limelight from news media when few cases were reported. 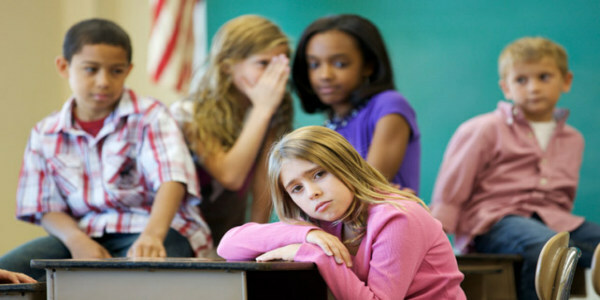 Bullying affects the children both psychologically and physically. It is estimated that hundreds of children miss school every day due to the fear of being mistreated by other students and in some extreme cases they choose to home school, or in severe circumstances they stop studying altogether. Children should not be living in constant fear. They shouldn't be afraid. On the contrary, they should look forward to every day of school and enjoy school life. According to a research bullying has always existed in Indonesian society, but it has come to surface due to the recent proliferation of media technologies (Craig, 2009). Since bullying is prevalent in our society it is important that everyone should be made aware of this social evil. There should be campaigns to increase awareness. Everyone should be working together, against it, to stop it. It is distressing to see our children being isolated from society because they are treated badly. I am of opinion that no one has any right to harass or make people feel inferior. No one should have that kind of power. These children are our future and we should make every possible effort to stop bullying. create a lot of pain and suffering. While it may seem innocent but the cumulative effect could be highly damaging. In addition to that, as the pain increases, each instance cuts a little deeper which eventually becomes a sore. It is highly possible that bullying might happen in your school so it is the liability of every student to protect their classmates and try to stop bullying. If it doesn't work then you should inform your teachers or parents. Not many of us think of stopping it. As long as it doesn't happen to us why should we get involved, why should we bother? But the time has come for us to be actively involved in eradicating bullying (Farrington, 1993). Itu tadi pembahasan kita mengenai Hortatory Exposition Text Bahasa Inggris Beserta Generic Structure. Tunggu postingan admin selanjutnya dan jangan lupa follow fanpagenya. selamat belajar !